Jonathan Moerschel was born in Boston, Massachusetts into a musical family. His mother, a pianist, and his father, a cellist in the Boston Symphony, fostered his early music studies both in piano and violin. At the age of sixteen, he began studying the viola with John Ziarko and chamber music with the violist from the Kolisch Quartet, Eugene Lehner. 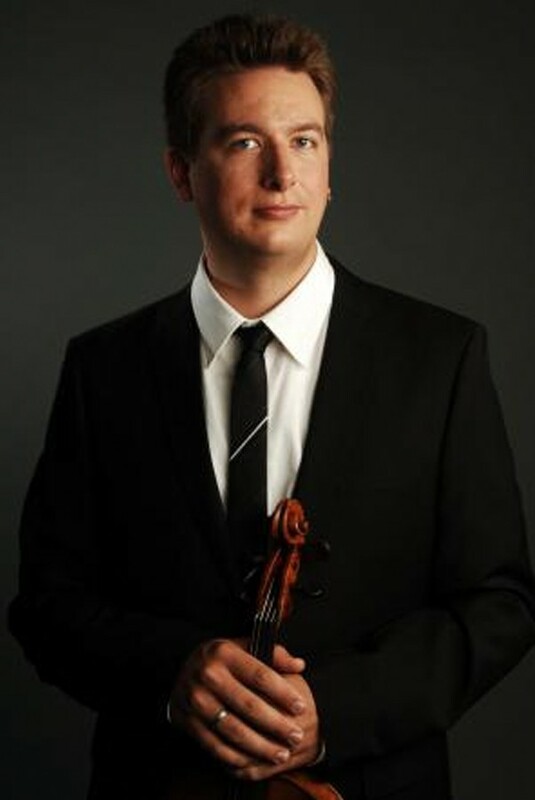 Moerschel made his Boston Symphony Hall solo debut with the Boston Pops Orchestra, directed by Keith Lockhart, in 1997 after taking first prize in the Boston Symphony Orchestra Concerto Competition. He is the violist of the reknowned Calder Quartet, which enjoys a diverse career, playing both the traditional quartet literature as well as partnering with innovative modern composers. The quartet, a receipient of the 2014 Avery Fischer Career Grant, has recently premiered new works by John Luther Adams, Andrew Norman, Tristan Perich, Daniel Bjarnason, Aaron Jay Kernis, and David Lang. They have had recent performances at Lincoln Center and Walt Disney Concert Hall as well as London’s Wigmore Hall, Barbican Centre and at the Salzburg Festival. They have performed at top halls and festivals across the globe including Carnegie Hall, The Kennedy Center, Ojai Music Festival, Melbourne Festival, IRCAM in Paris, Frankfurt Opera, Berkeley’s Cal Performances, Walt Disney Concert Hall, Edinburgh Festival and the Mozarteum. Moerschel is a Lecturer of Viola and Chamber Music at the University of California Santa Barbara. He has collaborated with eminent musicians Joshua Bell, Edgar Meyer, Paul Neubauer, Steven Tenenbaum, Joseph Kalichstein, Claude Frank, Menachem Pressler and Anne-Marie McDermott. He plays on the “ex-Adam” Gasparo Da Salo viola made in the late 16th Century on generous loan from the Stradivari Society.